Is Peak Oil a Lie? The peak oil people simply don't know what they're talking about, they don't know the facts . 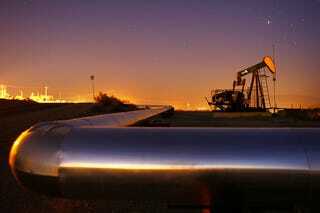 . . We really don't know how much oil there is in most of the oil reservoirs of the world. Oil reservoirs are complex geological structures, and most of the data is in private hands, or in state governments, and they are not particularly forthcoming about how much is there. We are not going to run out of oil before the issue of climate change drives change. It'll be costly oil. But it'll be climate change catastrophes [such as sudden, unexpected displacement of large numbers of people, and massive property damage], and more expensive oil, not the fact that we're running out of oil, that will drive change.